And It Has Been A Week and I am still working. It was one of those weeks that has a hidden agenda. Sort of. And I’ve been trying to at least look at your posts, but I miss the interaction. Oh. And today is our 36 anniversary of our wedding. But that had nothing to do with anything. Aiming for some time next week. More beauty of Portugal. 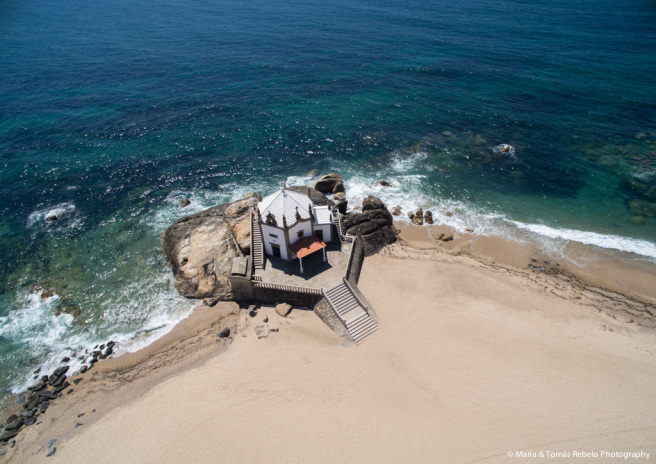 A beach with a church on it,. It takes a long time to build a beautiful palace. 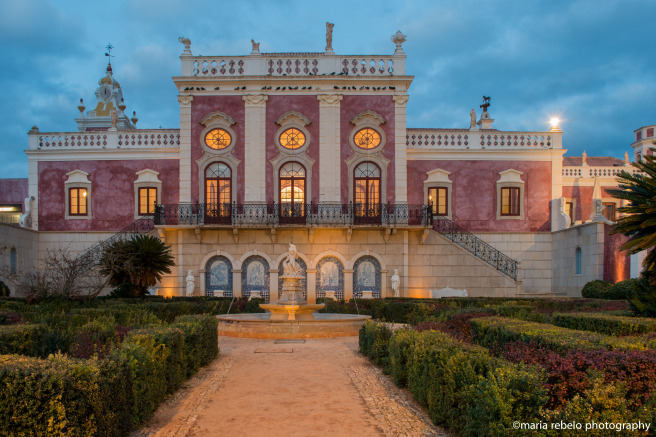 An Algarve aristocrat started in 1840 to build the Estoi palace in an estate near Faro. When he died, his son took over. But by 1893, the building was still unfinished and seemed destined to become a decorative ruin. It was then that a wealthy landowner bought the palace and spent a fortune on its completion. The sumptuous inauguration took place in May 1909. Decades later, the palace was abandoned. In 2009, a century after its inauguration, Estoi opened once again, this time as a luxury historical hotel. It is a place out of a fairytale, its opulent salons and elegant gardens restored to their original glory. It may have been the seven-hour flight over the Atlantic. Perhaps the loss of seven hours of my life added to it. I was in a place where my ability to speak English fluently was of minimal benefit. Or it could have been the shock of a handshake instead of the expected kiss factored into it. My senses went on overdrive. It went beyond the whiff of diesel fumes. It was just something for which I had no olfactory memories. To this day, if you were to blindfold me, and open a jar full of Portuguese air under my nose, I would immediately iria começar a falar Português. The language reverberated in my ears. Sounding like a merging of Spanish and French. I kept trying to hear the conversation. Unsuccessfully! The golden orb in the azure sky gently warmed the morning without the harsh summer blast to which I was accustomed in the states. Harry interrupted my reverie to ask if those two suitcases were all there was of my luggage. When I admitted that they were, he grinned and said, “I’ve never known a woman to travel with so little luggage.” Score? I thought I had brought a lot. It had seemed more than enough as I had dragged it through the airport. Was it meant as a compliment? We stopped in front of a white car where Harry deposited my bags in the trunk. As he put the key in the ignition, I noticed the flow of the traffic. The cars were small, and zipping around like they were practicing for Grand Prix of Monaco. Suddenly, we were in the flow. Harry took me on a roundabout but short sightseeing excursion of which I remember little apart from my white knuckles. Then he announced that we needed to get moving. He was taking me to eat breakfast with some of the Portugal team. We arrived in good time. As we stepped out of car, the door opened to a warm welcome. The field director’s wife had prepared an attractive continental breakfast which was reposing on the table. I was the novelty of the month. Harry had a woman in tow, a wonder that no one had ever expected of Harry. And they expected me to talk. Now, nothing renders an introvert more incapable of conversation than a room full of new acquaintances whose curiosity is killing them. But Harry came to my rescue with a diversionary tactic. He asked for a teabag, then picked up the coffee pot and poured coffee it over his teabag. Baron Bodo Von Bruemmer, born in Tsarist Russia in 11/11/1911, made a fortune working as a banker in Switzerland. Then, at age 51, he was diagnosed with a terminal disease and told he had two years to live. He decided to look for a place where, after his passing, his wife could live without having to worry about money. Von Bruemmer came to Portugal and fell in love with the country. 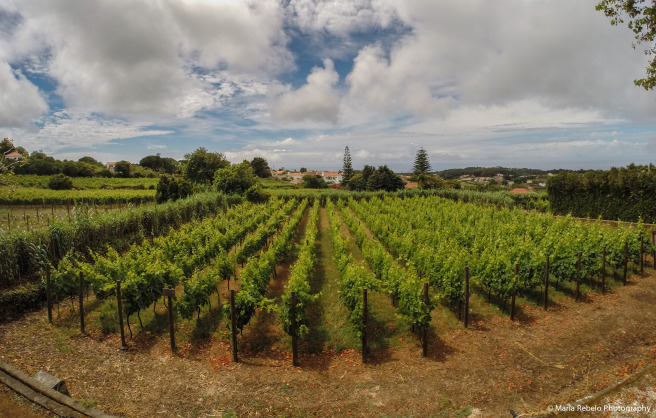 He bought Casal de Santa Maria, a farm in Colares near Sintra. There, he spent his days breeding Arabian horses and planting roses. The airs of Colares nursed the baron back to health and today, at 104 years of age, he continues to thrive. These tasty tidbits are so yummy my mouth is watering thinking about them. June 10 is a holiday dedicated to the great 15th century poet Luis de Camões, whose epic poem Lusíadas helped forge the identity of Portugal as a nation. Lobo Antunes meant his words as a compliment to the genius of Camões. 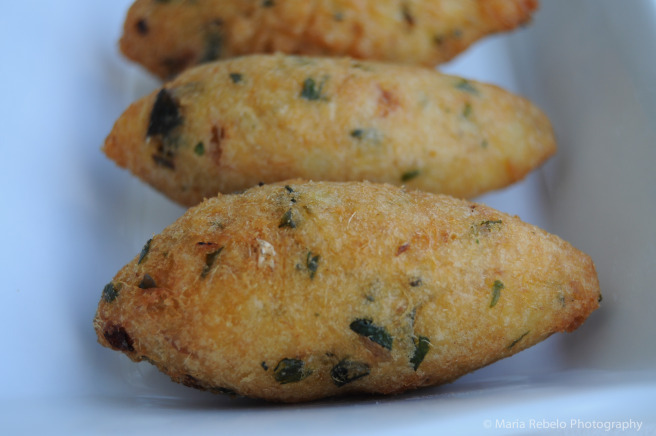 Try codfish cakes accompanied with tomato rice and a great glass of red wine and you’ll see that they are pure poetry!